A ground breaking event was held at the Sidcup hospital this week to mark the start of the 13-month project to revamp the hospital, starting at the main entrance to give visitors a better experience when they arrive. The first floor will provide out-patients with a range of clinical specialities including orthopaedics, general medicine, cardiology, women’s services, and therapy services. In addition to these latest developments, the new cancer centre is due to open later this year and the Kidney Centre will open in early 2017. 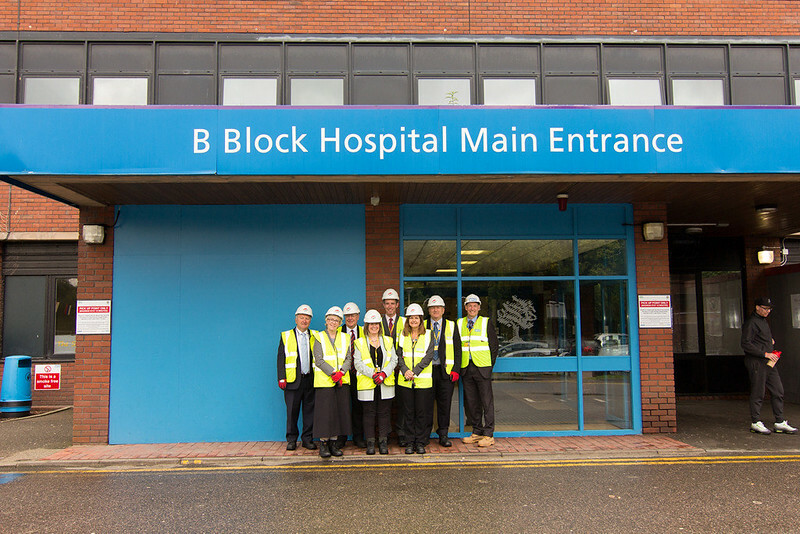 Oxleas NHS Foundation Trust Chief Executive, Ben Travis and Chairman Andy Trotter accompanied a group of Non-Executive Directors on the site visit to mark the beginning of the latest phase of developments. Joining them was our Estates and Facilities Director Rachel Evans and Head of Estate Development Colin Cope.